Note:-*Above mention information is valid only If You Book Flights 100 days before date of arrival. Get ready to explore Big Apple city "New York", from London. Whereas London is city capital of England and United Kingdom. And New York is state of northeastern United States as well city of New York State. New York is 3470.358 miles away from London, where be the air you can cover this distance in the average of 8 hours. 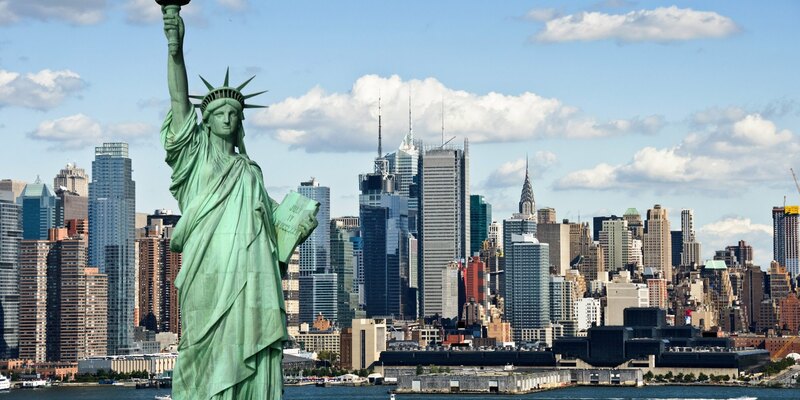 Book cheap flights from London to New York at best fares rates. Traveler can depart from top International airports in London, United Kingdom , such as (LCY / EGLC) London City Airport ,(LHR / EGLL) London Heathrow Airport, (LGW / EGKK) London Gatwick Airport, (LTN / EGGW) London Luton Airport arrival to 3 airport hubs JKL John F Kennedy International Airport, La Guardia Airport (LGA) and Newark (EWR) international airport itself in NYC. Make sure to updates on things to do in New York. Which London Airports serves flights to New York? How Long is take to fly New York from London? If you want to fly from LON to NYC, it would take average traveling time duration approx. 8 hours or may be more than just 8 hours by direct flights. More than 32+ flights fly to New York daily from London and the first flight departs 6:30 am from London and last flight departs 11:05 pm from London. Basic timezone different between London to New York is 5 hours, when its 6.00 pm in London, then it would be 1 pm in New York as per GMT System. London is 5 hours ahead of New York. More than 12 + airlines serve flight from London to New York daily. Some top airlines are United Airline, Virgin Atlantic, American Airline and Delta Airline. Best Place to Visit in New York? 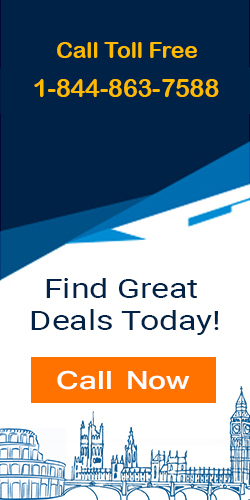 Travelouts is one stop solution for any flights deals. Also, travelouts explore unpublished flight deals from London to New York with the heavy discount on fares rates. Moreover, you can set fares alert for cheap flights from London to New York. Our easy flight's booking system help to book flights fastest. Also, Combine flights with hotels deal to Save more!